Chef Martin Lackovic, formerly of Galileo, I Matti, and The Caucus Room opened Siroc Restaurant on McPherson Square with brothers Keram and Mehdi Dris who run the front of the house. Siroc's seasonal menu features cooking inspired by Italy and the Mediterranean with housemade pastas, charcuterie, salads, and entrées. The new restaurant takes its name from a wind that blows from northern Africa to Italy and the Mediterranean. Food was unbelievable! Spot on! We had creamy pastas and they were very good. Not you’re usual pasta dishes which is what made them so satisfying! One of the finest, most gracious restaurants in town. Fantastic food, attentive service. Nice Italian restaurant in DC. Very good food! Sauces have great flavor, pasta cooked perfectly. Food was overall ok, but expensive. Lemon tagliatelle was too greasy and special pasta was like a chinese noodle. Siroc is consistently good. Service was fabulous...and the food was good as always. Can't go wrong with this choice for a place downtown near McPherson Square. The service was very good and I appreciated the fact that they gave me a good table when I mentioned I had a "VIP" joining me for lunch. Always enjoyable with great food and service. We had a lovely meal at Siroc, which satiated my need for a delicious, traditional carbonara. My boyfriend had an amazing squid ink seafood dish which he loved too. Would visit again. We eat siroc when in DC. The food is very good, well prepared and service is on a par with the food. Good and reasonably priced wine list as well. Food is a bit too expensive for what it is, but very good. This is my go-to restaurant when I'm in this part of town. I've never been disappointed with anything I've chosen. Love it! A delightful place for lunch. Excellent food, good service, and quiet enough to hold a conversation comfortably. All around a very enjoyable experience. Service and food were great. Our server was very attentive and worked with us . Dishes were sublime. My date and I had three and finished with the red wine Bosc pear for dessert. Delicious! Had a wonderful dinner here with out-of-town friends. Everything was delicious! Only wish that parking was easier. We were told to go to the garage on Vermont Street but found this closed. Had to keep looking and were late for our reservation. Great food and service. A little loud. Siroc consistently delivers the best downtown dining experience I know; lunch or dinner. The cozy, conversation-friendly setting, professional service and excellent choice of first-rate Italian dishes and wines always provides an enjoyable respite. Was in DC for business. Siroc was close to our hotel and got good ratings, we decided to try it out. We were not disappointed. 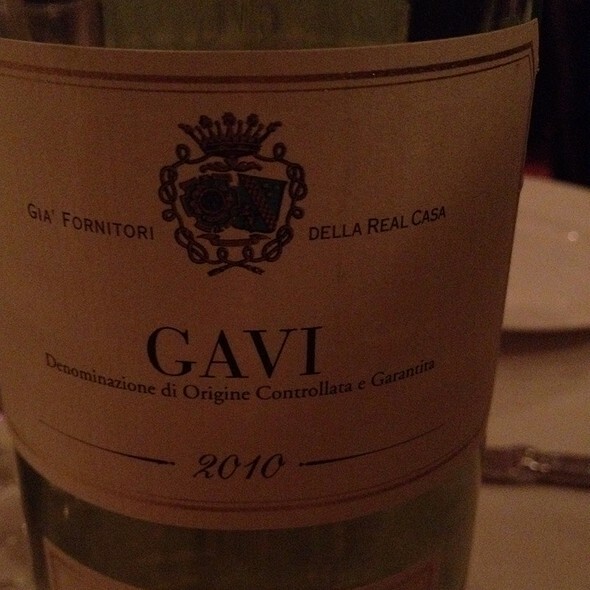 They have a small but solid wine list with reasonable prices and we had a great barbaresco that our server recommended. 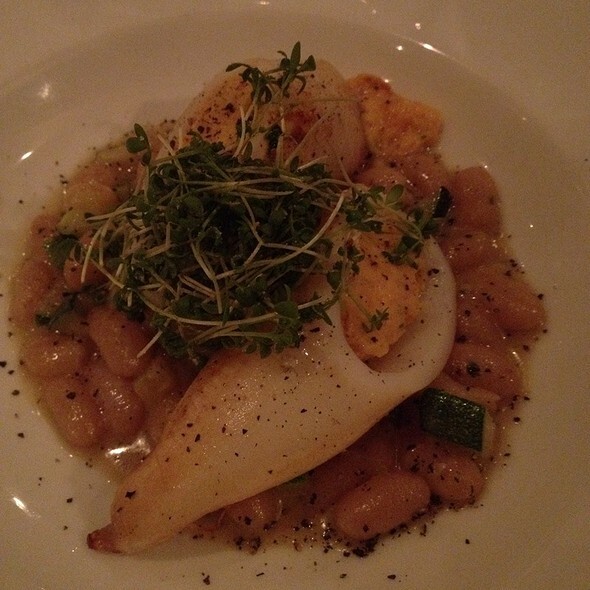 All of our dishes were great - we had the brancino, bolognese fettuccini, ravioli and sea bass. Our server was appropriately attentive. Overall a great experience. Excellent food. Perhaps a bit understaffed and servers unsmiling because of overwork? Noise level better than in many places—conversation was easy. One of us RAVED about the eggplant and lamb dish. It was all very nice! A great surprise for a hidden restaurant in winter/spring. This was our second time at Siroc and both were wonderful evenings. I'm surprised I don't hear more about this place--I guess the hot new restaurants dominate but what a gem! My husband and I had fish and our friends had pasta; everything was delicious, well balanced, just the right portions. Service was almost too attentive with plates whisked away a bit early, but helpful frequent water refills and offers for more drinks. We even found meter parking right around the corner. 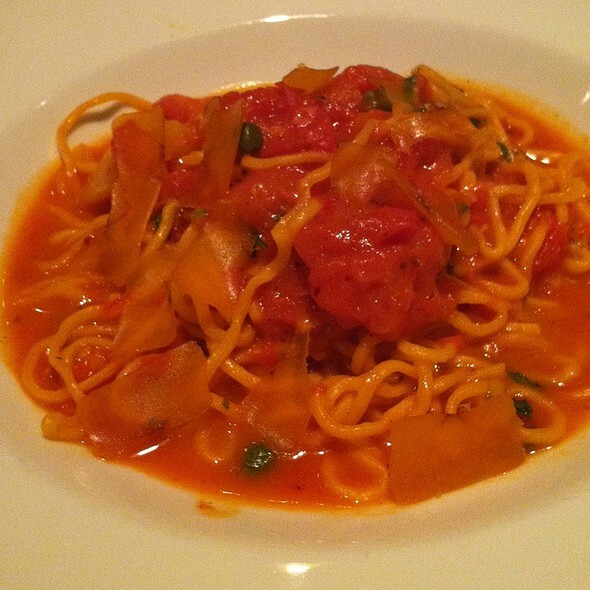 I find pricing more reasonable than most DC restaurants of this level--pastas ~$18-22 and meat/fish $20-28. They're great with special events too, really made birthday people feel special. Highly recommend! Very simple but delicious menu. My only complaint, which is a tiny detail— I suggest when delivering a cheeseboard, please introduce the cheeses. We’ll definitely be back. We ordered 3 different pastas and none of them were any good. For an italian place its embarrassing! To say the highlight was the bread says it all! I have written numerous reviews on this quaint little restaurant. I have been there many times. It is in the same block as my office. I always take my clients there. Excellent place for a business lunch. Everything was excellent!! 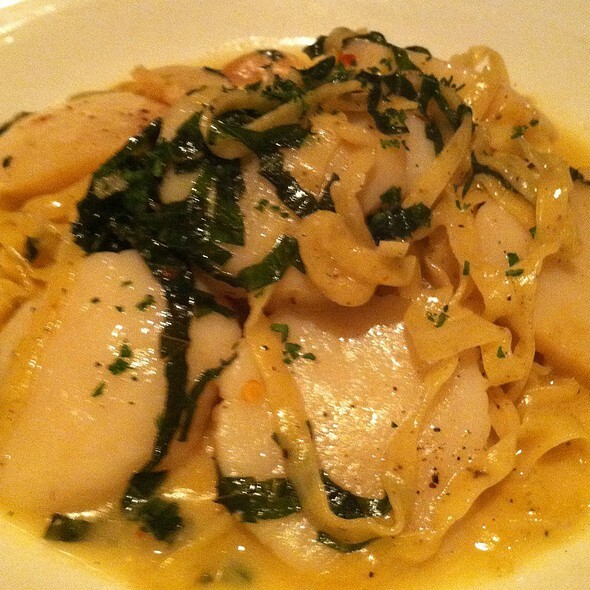 We ordered the branzino and lobster tagliatelle and it was incredible. The service was fantastic. We will definitely be coming back to this Resturaunt next time we are in DC! We came for a 6:30PM dinner Friday evening, on time, and seating was quick and efficient for the 3 of us despite one of us using a wheel chair. Few patrons at that point. I had salmon which was a tad dry, in addition to a meat ravioli which was good but not great. Plates were beautifully presented. One of us had a Malbec wine which was good. For dessert, we had ice cream and fruit, while one had a poached pear. Pear dish for one of us ok.. Bill came to just shy of $200... which for what we got felt high. Our waitress was very attentive. By our departure, the room was packed with patrons, and the noise was at least moderate.. but still ok.. I would not go back for this, since we do not live close by and it did not ring out as exemplary .. For context, the pouring rain that night did not help matters. Service is excellent. Low lit Italian restaurant. I had the fettuccine bolognese. Not the best dish I have had here but certainly better than most. Pasta was slightly tough but overall a good meal. Really great food. Beautiful presentation. We had a lunch meeting there. My boss's favorite place. Food was delicious as always. 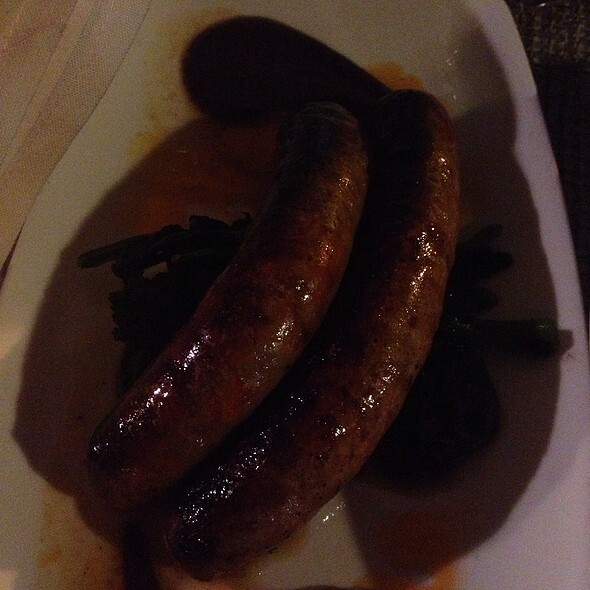 Great Italian food. They need to get their HVAC (cooling unit) replaced because when it turns on it sounds like a 747 airplane is trying to land on your table. Suberb food, service and ambiance. This was a real find. Everything on point!